Due to the unavoidable risks involved in construction projects, a long-running feature of construction contracts is to fix the damages that will be payable to the employer in the event of certain specified breaches. These provisions are known as 'liquidated damages' and are also popular in commercial contracts. The benefit of liquidated damages is certainty in anticipating the financial exposure a party may face as a result of breach while not putting onus on the enforcing party to substantiate any loss incurred. The courts have therefore welcomed liquidated damages and have asserted that they do not necessarily encroach on the established English common law rule that penalties are unenforceable. Leading guidance on the law of penalties has until now come from Dunlop Pneumatic Tyre Company Ltd v New Garage & Motor Company Limited  AC 79. Dunlop stated that the essence of a penalty is a payment of money stipulated as "in terrorem" of the offending party and/or if the sum stipulated is extravagant and unconscionable in proportion to the conceived loss. However you can now lay rest to Dunlop in England as it has recently, on the year of its 100th anniversary, been heralded by the Supreme Court in Cavendish Square Holding BV v Talal El Makdessi; ParkingEye Limited v Beavis  UKSC 67, as "an ancient, haphazardly constructed edifice which has not weathered well". This may seem like a particularly harsh centenary gift, but it is not the first time that Dunlop has been subject to review. Closer to home, the Asia-Pacific region has been addressing and reviewing the principles over the years. In Hong Kong, the courts have continued to apply Dunlop and considered the tests in 1993 in Philips Hong Kong Ltd v AG of Hong Kong  1 HKLR 269, where it emphasised that it would avoid rewriting contracts that parties have made and would rather uphold the bargain made by the parties. 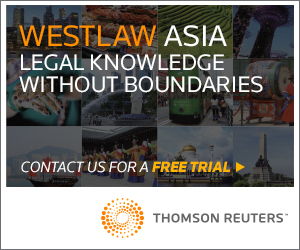 In 2004 the court held in Re Mandarin Container  3 HKLRD 554, that the modern approach to penalty clauses was "whether the disputed provision could be said to be unconscionable or oppressive by reason of being extravagant, exorbitant or excessive." It also noted, on par with Philips, that courts should be slow in finding agreed terms between the parties to be "in terrorem" as opposed to genuine agreement providing for fixed loss. 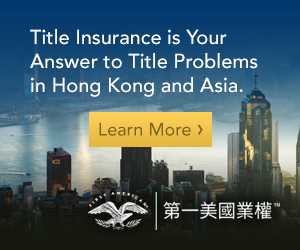 The affect of the recent Supreme Court decision on Hong Kong will be considered, but first it is important to understand what the decision entailed. 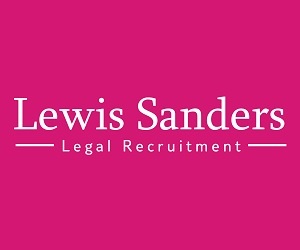 In reviewing the law on penalties recently, the Supreme Court joined two unconnected cases, Cavendish and ParkingEye. The factual context of the two cases differ widely with Cavendish involving the sale of a controlling stake in the holding company of the largest advertising and marketing communications group in the Middle East, and ParkingEye involving a £85 charge for overstaying in a car park. However, both addressed the issue of whether a penalty existed and in each case the purpose of the disputed clauses had nothing to do with compensating for breach. In Cavendish the contract provided that if the Seller were to breach certain restrictive covenants then he would become a Defaulting Shareholder and would consequently lose entitlement to the final two installments of payment from the sale (the "withholding" clause) and could be required to sell his remaining shares to the Buyer at a price which excluded the value of goodwill (the "forced transfer" clause). After conceding to being a Defaulting Shareholder, the Seller challenged the clauses arguing that they amounted to penalties and were therefore unenforceable. At first instance, Burton J held that the clauses did not amount to penalties; the withholding clause was designed to adjust commercial consideration and the forced transfer clause was designed to decouple parties. The clauses were not designed to deter rather, they served legitimate commercial purposes and were the subject of detailed negotiations. However, the Court of Appeal subsequently reversed the decision on the basis that both clauses were extravagant and unconscionable. In ParkingEye both the court at first instance and the Court of Appeal decided that the £85 charge for overstaying in a car park was not a penalty. Both courts agreed that the charge, although designed to have a deterrent effect in preventing long stay parking, was in ParkingEye's legitimate interests so as to allow a flow of turnover in the car park. "… the strong initial presumption must be that the parties themselves are the best judges of what is legitimate in a provision dealing with the consequences of breach." The court was asked to consider extending the doctrine in line with the Australian High Court in Andrews v ANZ Banking Group  HCA 30, which adopted a new test based on a penal clause being collateral to a primary obligation and imposing additional detriment to the benefit of the innocent party. The practical ramification being that the penalty rule can be applied even where no breach occurs. Notably in Andrews this was determined in equity, rather than at common law. The Supreme Court firmly rejected that approach. It considered the reasoning in Andrews to be inconsistent with the equitable rule and held that the new definition of penalty would be difficult to apply. Further, it was not convinced that the High Court had considered the commercial and legal implications. This clear rejection of Andrews is significant and will likely invite further consideration on the issue in Australia when the question resurfaces in the forthcoming appeal of Paciocco v ANZ Banking Group  FCAFC 50. Although the penalty doctrine is subject to a narrow scope, the Court of Appeal has broadened it beyond provisions exclusively concerned with breach. In 1989 it held that the scope extends to withholding clauses (The Padre Island  1 Lloyds Rep 239) and to forced transfer clauses (Jobson v Johnson  2 WLR 1026). The Supreme Court accepted the application of the penalty rule in respect of forced transfer clauses, but was less certain regarding withholding clauses. The majority held that withholding clauses are subject to the rule and can also be subject to relief against forfeiture. Three of the Lords were more hesitant, stating that they were "prepared to assume, without deciding" that contractual provisions which disentitle the contract breaker from receiving what would otherwise be due to him may in some circumstances amount to a penalty, caveating that it depends "on the nature of the right of which the contract breaker is being deprived and the basis on which he is being deprived of it". As such, a lack of clarity continues to exist in relation to withholding clauses. In moving away from Dunlop, the majority held the view that it was "unfortunate” that Dunlop had "achieved the status of a quasi-statutory code in the subsequent case-law". The law on penalties had become "the prisoner of artificial categorisation" due to unsatisfactory distinctions between a penalty and genuine pre-estate of loss, and a deterrent and a pre-estimate of loss. The Lords unanimously held that focus should be on the nature and extent of the innocent party's interest in the performance of the relevant obligation. A clause operating on breach may properly be justified by some consideration other than recovery of compensation. The lack of a genuine pre-estimate of loss does not itself constitute a penalty and to describe a clause as a deterrent adds nothing, which renders "in terrorem" no longer of significance. "whether the impugned provision is a secondary obligation which imposes a detriment on the contract-breaker out of all proportion to any legitimate interest of the innocent party in the enforcement of the primary obligation". The key concepts are now therefore whether there is "legitimate interest", whether it is "out of all proportion" and three of the Lords also add whether it is "exorbitant or unconscionable". In applying the new tests, the Supreme Court held in Cavendish that the withholding clause was not penal. It was merely a price adjustment clause; parties are entitled to provide for reduced remuneration in circumstances of non-performance. 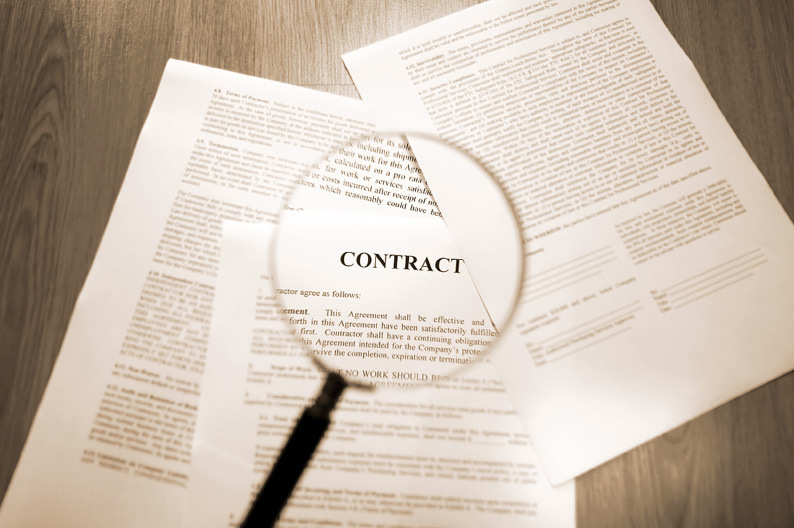 Regarding the forced transfer clause it was held that although one of the aims was to deter breach, the clause was designed to sever the connection between the parties and was therefore not penal. The court unanimously held that both clauses were designed to protect Cavendish's legitimate commercial interests and neither was concerned with the measure of compensation for breach. Importantly, the majority considered both clauses as primary obligations. Lord Hodge however, while admitting that there were strong arguments to support the clauses being primary obligations, viewed the forced transfer clause as a secondary obligation. This presents a clear indication of the potential future issues for determination before the courts. In ParkingEye, the charge was not considered penal. Although it was a deterrent, it constituted a genuine interest of keeping a steady flow of turnover in the car park. As identified by the Supreme Court, the penalty rule is common to many developed systems of law which includes various countries in the Asia-Pacific region. In Hong Kong, the courts have traditionally been in line with the English courts in favouring freedom of contract and upholding bargains made between parties. 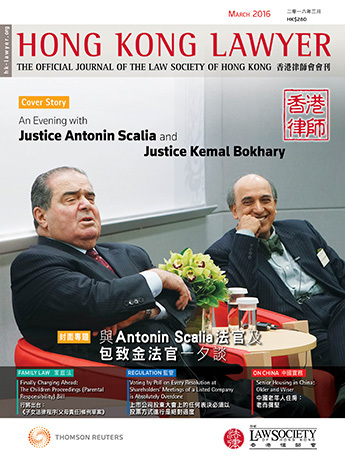 Given the particularly close connection between the laws of Hong Kong and English law it may be anticipated that the Supreme Court's departure from Dunlop will resonate in Hong Kong. However, until Hong Kong courts adopt the revised Cavendish test then the existing principles derived from Dunlop will continue to apply. Essentially it is now a waiting game to see whether the Cavendish decision will be adopted.